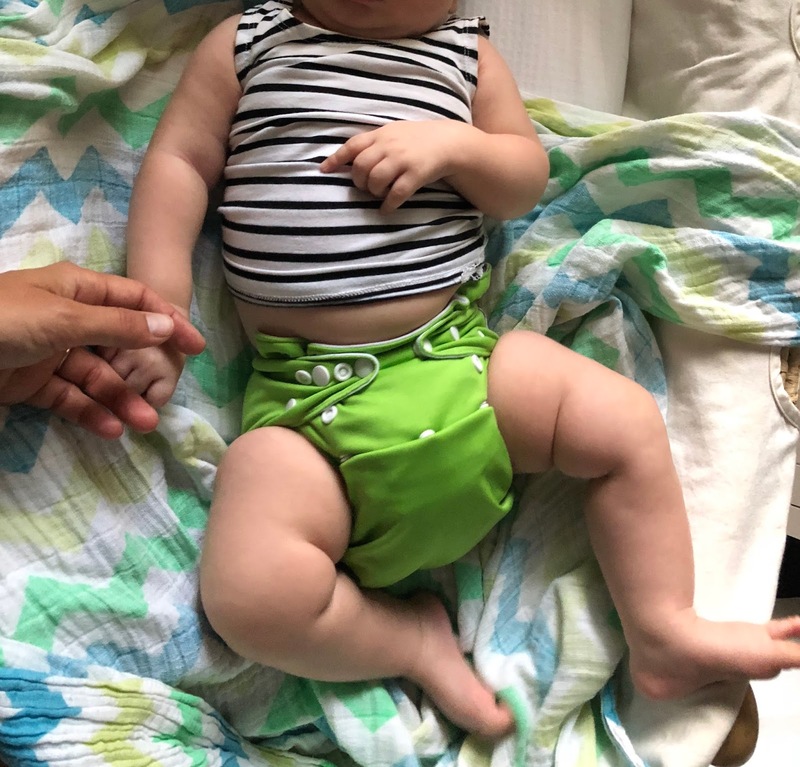 Today's blog post is not so much a lesson on the ins and outs of cloth nappies, but a tale of my experience learning the ropes of a new eco-habit. When I last wrote I had a big belly full of baby. I welcomed my beautiful son into the world on Boxing Day: as a colleague of mine so eloquently put it, life with a newborn is full and exhausting. Now that I have rounded the corner on my son's first three months of life I feel I can finally come up for air (from time to time, anyway). 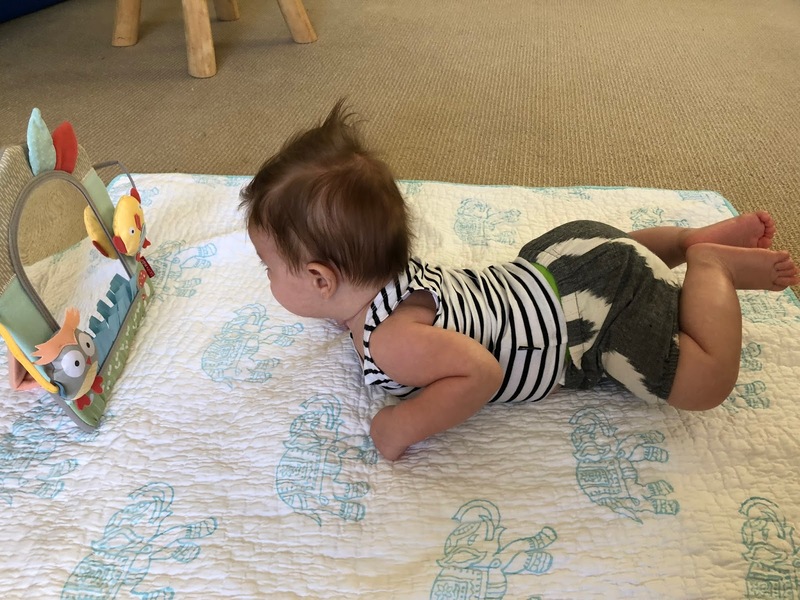 Before I had my baby I assumed I'd use cloth nappies (that's diapers for my American readers!). Why in the world would I, a so-called sustainable living expert, even consider using disposables? A friend gave me her collection of cloth nappies so I didn't have to fork out the cash for new ones, and then my husband's colleagues gifted us a month of a cloth nappy service so we wouldn't have to deal with the laundry as we adjusted to life with a newborn. Too easy! The adjustment to being a parent was larger than I ever could have imagined. Besides my own physical recovery (which was longer and harder than I realised it would be), and the all encompassing exhaustion in the earliest weeks, there was so much to do, learn and understand. When he first came home my son's meals needed to be supplemented by formula and I had to connect myself to a breast pump after each feeding to get my supply up. This meant lots of time washing and sterilising bottles and pump equipment on top of the feeding time itself, which was nearly an hour when he was brand new. Then an endless stream of questions and decisions arose: why is he crying? How is best to bathe him? How to dress him in the stinking hot Sydney summer? How can I help his reflux? Is it too hot to go for a walk? Is he overstimulated? Is he under stimulated? How can I help him sleep?! Etc, etc, etc. As it turns out I couldn't even fathom cloth nappies for the first couple weeks of his life. We have, however, used reusable cloth wipes his entire life - just small cotton or bamboo clothes and water, soak the used ones in a bucket of pre-soak, and wash a bundle once a week. They always come clean (somehow!) without bleach, and dry quickly on the line. Super easy. Then we started using the gifted nappy service - Lavenderia. It's a cloth nappy system consisting of cloth inserts and a (mostly) waterproof outer cover. When my son was tiny, though, there were a number of leaks, even on the smallest sizing of the cover, and he got nappy rash quite quickly. After a few leaks that led to changing bassinet sheets at 2 in the morning and a persistent nappy rash, I told my hubby I needed a break until I at least felt more confident in other areas of being a mum. 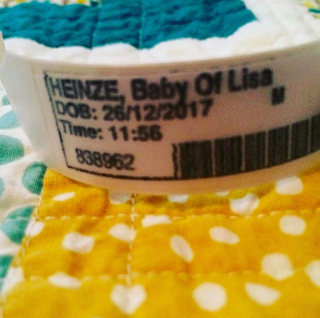 I was surprised that I gave up so quickly given my passion for the environment, but it seemed like one of the quickest changes to make my life as a new mum a bit easier (and I am one of the incredibly lucky ones who had a lot of support from my husband and relatives who visited from the US.). So, fast forward to the 3 month stage, my beautiful boy has some seriously healthy (read: chubby) thighs so leaks should not be an issue, and so we started up with Lavenderia again. The kind owner of the business has been incredibly helpful at showing us how to adjust the snaps to get the right size for our son (key tip here, make the leg and waist holes even smaller than you may think). I was impressed with the personal attention and felt grateful for the support. Look at those gorgeous chubby legs! Now my main gripe with cloth nappies is aesthetic. They are very bulky in comparison to disposables (I have been using Tooshies by TOM as an environmentally-friendly version of disposables) and look enormous. I don't love the look of just having the cloth outer covers as his bottoms (hello, fashion lover here!) and they do not fit well under most of the 3-6 month clothes I have for my little guy. I tried using just one cloth insert to make them less bulky, but it wasn't enough to absorb all the wee from my wee little boy and I had some leakage through the outer cover. I have managed to squeeze them under this adorable Carlie Ballard nappy cover. I am also dealing with nappy rash again. He hasn't had it using the disposables, but now is getting a little bit now that we're on the cloth. Lavenderia suggest changing the nappy every 2-3 hours to prevent it, but (blissfully) I have a great nighttime sleeper on my hands and he is wearing the nappy for long stretches at night. And, finally, they are less convenient than disposables. There's no denying it. Even with this easiest introduction into cloth nappies with the use of a service, it takes just a little bit longer to change him than using disposables, and requires a little bit more organisation if you're going to be out and about (not to mention space), and time is severely limited with a new bub (and not something you want to squander at that 3am feed and nappy change). So between the bulkiness, the occasional leak, the nappy rash and (slight) inconvenience, I'm questioning the use of cloth nappies. And I am not even doing the laundry! I have even found myself researching life cycle analysis of cloth versus disposable nappies (there are many conflicting reports, so I am going to keep researching, but common sense suggests reusable is always better than a single-use disposable item, right?). Once again I am surprised at how quick I am to consider giving up cloth nappies. I don't want to beat myself up - adjusting to being a full time mum is major, and there are so many new aspects to my life that take up time and energy - and yet, what kind of environmentalist am I if I am willing to ditch the cloth nappies so easily? I feel incredibly conflicted, and yet still find myself drawn to the ease of disposables (even as I picture overflowing landfills and depleting natural resources). I love to write blog posts that give my readers advice or expertise, but for this first post of my new role as a mum, I thought I'd just be honest about an environmental dilemma I am facing. It's an important reminder to me (and other environmentalists) about the significance of individuals' everyday realities when it comes to adopting pro-environmental behaviour. Of course it all sounds so straightforward - here, use this cloth nappy service, it's better for the environment (or recycle, avoid fast fashion, buy organic food, use renewable energy, etc). But in reality, there are multiple facets to everyone's lives that either support or preclude pro-environmental behaviour. And it turns out that even I am not immune. I will stick with Lavenderia for now, except on days when I am out and about (they really are bulky and would take up a lot of room in the nappy bag!). And I may move over to DIY-laundry cloth nappies in the future. But I'm not loving the experience or finding it as easy as I thought I would, and I'm seriously not happy about them not fitting under most of his clothes (the majority of which are secondhand, but more on that in a later post). I have always tried to be honest with my readers about my adoption of sustainable lifestyle activities, so I thank you for indulging me in this rant. Have you used cloth nappies? Do you have tips for me?